Chet Willey Associates is an independent consulting firm with over 30 years of beer and beverage experience. The majority of our work comes from satisfied client referrals and repeat business. 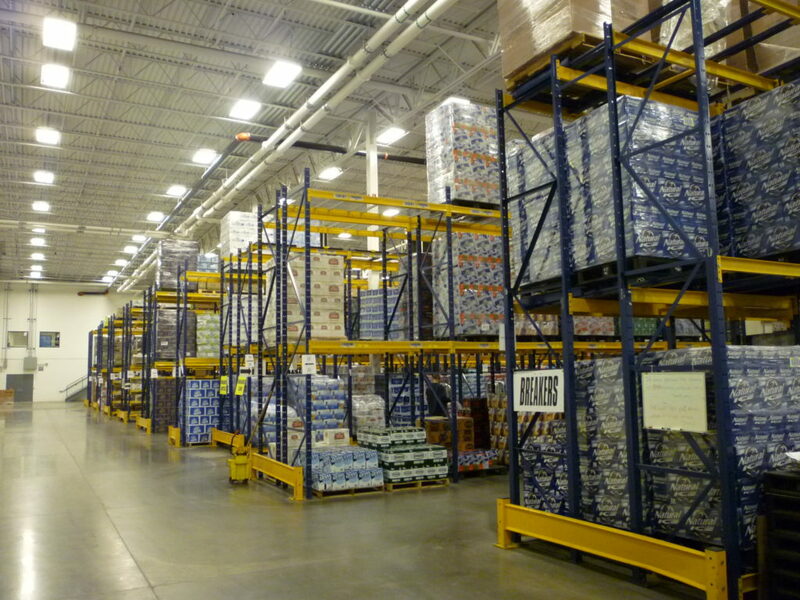 We have completed over 400 warehouse layouts in beer, soft drink, liquor & wine and food segments. An engineered warehouse layout can dramatically improve productivity. Thank you for your outstanding work with the warehouse layout design for Atlas. Over the years, I have had occasion to work with a few warehouse designers, unfortunately all of which did not add nearly the value you provided. I must say that the time, work, effort and plan you put forward is and will provide tremendous value. Great job. The racks are up and inventory on them and everything working smoothly. I’ve passed your name on to a number of other bottlers with a glowing recommendation. Thanks again. I hope we can do business again sometime. CONTROLLING OPERATING COSTS IS CRITICAL TO PROFITABILITY. SKU proliferation has dramatically increased the complexity and operating costs for distributors. We will show you how to make changes in your warehouse and delivery operations to significantly improve productivity and lower costs by 5-10 cents per case. Many distributors average only 125-175 cases per hour in their picking operations. There are several methods we can use to improve productivity to over 300 cases per hour. Most of these improvements will pay for themselves in less than one year. Other benefits that can be realized include increased pick accuracy, improved customer service at retail and lower driver turnover. Warehouse capacity and worker productivity depends heavily on an efficient warehouse layout and pick area organization. By maximizing cubic utilization and ensuring that row length is designed based on sales volume for each item, you can often delay facility expansion just by improving the current warehouse layout. Pick area design is crucial to optimizing productivity. 70% of pick time is spent looking for the product and travel time. Implementing a compact pick area and utilizing appropriate pallet and case flow racks can often increase cases picked per hour by more than 50%. Analyze past sales and inventory data with future sales and SKU increases to project warehouse space requirements for the next 10 years. Prepare an initial assignment of SKU’s to a storage type required such as row, rack or case flow. Visit the site to observe the operation and identify productivity improvement opportunities. Determine if layer picking or automated stretch wrappers are cost justifiable. Develop warehouse layout with pick area and back stock alternatives to evaluate. Finalize the warehouse layout and include product locations for pick area and back stock storage. Develop list to assist in making location labels with bar codes. Develop rack specifications if required so you can send them to potential vendors with AutoCAD drawings. Slot all product by package height if desired. We can provide a quote for these or any other services that you might need. Items 1 through 5 above can usually be completed within 30 days. Lead time for rack delivery is 6 to 12 weeks depending on the time of year. Using long fork walkie riders to be able to pick 3 pallets or 4 carts simultaneously. Utilizing a layer picker to achieve 1,500 cases per hour for high volume packages. Automated stretch wrappers that allows order pick personnel to save 2 minutes per pallet that will increase their productivity. Single/double forklift attachment that can reduce receiving time by 50%. Cases per stop should normally be more than 5 with many distributors implementing a 10 case minimum or a profit per stop guideline. Less than 5 cases will result in a delivery cost per case that exceeds the gross profit per case. If small case deliveries are still needed, look at moving them to Tel-Sell and delivering them on a van or other vehicle that has a lower cost to operate. Major breweries request at least one visit per week for national accounts but it is amazing how often we find that service per account can exceed three times per week with cases per stop averaging less than 5. Most of the categories we analyze are not readily visible to management. Our recommendations can help provide the foundation to make changes and significantly reduce delivery cost per case. It is difficult to level deliveries for across the week by day but this is always an opportunity that can yield significant delivery savings as well as warehouse operating costs by leveling staffing by day. Adjusting cases per stop and the service policy by account are both options to pursue to help level daily deliveries. We evaluate how well the deliveries are routed and if the driver follows the suggested route. Efficient routing can reduce miles traveled and overall delivery cost if followed as planned. Deviation reasons should be documented and used to update the routing constraints. We normally include retail deliveries in our evaluation to determine personnel productivity particularly if there is a helper involved. We look for opportunities to improve productivity as well as how any damage can be eliminated. Give Chet Willey Associates a call at (817) 291-5314 and let us know how we can assist you in reducing your costs by improving your operation. We look forward to submitting a project proposal that is reasonably priced. Or click below to send us a message and we will contact you.